Aside from developing a quality site worth going to, one of the important tasks as a website owner is Website SEO. If you haven't started creating links since you had your website up, you might consider starting to increase your website presence through the tactics mentioned below. Directory Submission. This is probably one of the oldest strategies in linkbuilding. Before search engines dominated the internet, directories are usually where users go to look for something. Still, submitting your site to website directories is one way to get links out and certainly a good way to get your site easily crawled by spiders. Acquire Reciprocal Links. These days, links do not have the same weight. This means that not all links are equal. For your links to gain weight, you need to have it published in sites that are similar to what your site is about. In order to gain authority on a certain topic, you need to have links from sites on the topic as well. This can be done by requesting reciprocal links from site owners. Create Blogs. Creating a blog today does not cost a lot. There are a lot of Web 2.0 sites that allow you to create pages or blogs in a few easy steps. In as long as 5 minutes, you can set up your own blog. Blog Commenting. Web2.0 sites have features that allow a lot of interaction such as posting comments. However, because of linkbuilding becoming viral, a lot of website owners disable their commenting area or perhaps disable the html tags. Still, you can get lucky on some other sites that have not disabled these features. Share your expertise. This only applies if you have expertise to offer. There are many online skills that can be acquired and you can use that to your advantage. A lot of strategies can be done for furthering your website presence. Make use of technology. In fact, you can even supplement it with offline strategies. But that is a topic for another post. 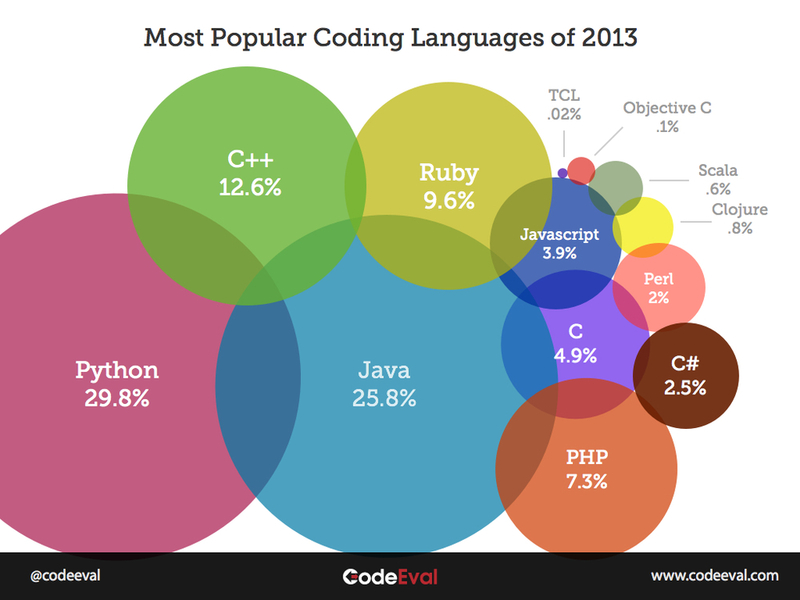 CodeEval just released their annual "Most Popular Programming Languages" statistics for 2013. This year, Python held on to #1 spot but we saw a significant drop with it's marketshare losing almost 7% while Java gained 3.5% closing the gap to just 4% between the two leaders. Perl lost almost 21% and PHP lost almost 8%. The biggest gainer was C# which leaped up 500% while C was up a modest 22.5%. Your waiting room or lobby is a large part of your patient's experience. Transform that wait into a positive and productive experience for patients and their family members with our new waiting room DVDs for medical spas, day spas, plastic surgeons, dermatologists and aesthetic physicians. Typically "free" waiting room educational products come with a big catch—sponsorship ads—which detract from your business and, to be honest, look pretty tacky. Frontdesks's waiting room DVDs do not include any promotional messages or content, leaving you free to match your treatments and objectives to the story you're telling. Each DVD contains only the information that you want and promotes the treatments that you offer, and because they play continuously and automatically repeat, they require no attention from staff. Best of all, your new DVD will work for you all of the time with just one purchase. What other kind of advertising does that for you? Our waiting room videos really are the very best markeing you'll ever buy. Medical Spa MD has this excellent post on using waiting room vidoes in your cosmetic clinic to increase revenue per patient. Unlike most forms of advertising, waiting room vidoes can boost your revenue immediately. In the most recent Medical Spa MD Physician Report, physicians running cosmetic clinics were asked what kind of marketing is most important in generating sales and if they're already marketing to patients in their waiting room. ...video marketing moves your marketing to an entirely new level. Look at that second chart; 25% of responding physicians indicated that they're using video marketing in their waiting room and that they're 'killing it'. We already now how effecitve waiting room vidoes are of course. We've got happy clients around the world that are using our videos to educate, start conversations about additional treatments, and reduce patient anxiety with the wait. The benefits are obvious. You're marketing directly to a captive audience that's already in your business with information about your products and services. Your clients will be entertained at the same time that you're educating and informing them of the scope of your services. Special offers? New services? Packages or gift certificates? Video marketing will 'soft-sell' your clients and get conversations started that result in increased sales! If you're a dentist, physician, medical spa, clinic, chiroprator or any other small business that has a waiting room, you'd be a fool to pass up learning how you can increase your profitibility and drive extra sales just by engaging and communicating the right message to your existing clients or patients. It's truly a no-brainer. This system has been proven in countless businesses that understand that communicating the right message, in the right way, adds to the bottom line. They're booked solid right now but you can get on their waiting list and be notified when space becomes available. Note: All the images, videos, headlines and copy are copyrighted and available only through these killer waiting room vidoes. Jeremy Weaver is a medical school student andone of the managing editors over at Uncommon Student MD where he's written a really good post on The Top 10 Reasons You Should Go To Medical School, And The Single Reason Not To. Whether you're a first year medical student or a practicing physican, there's a good chance you've asked yourself the quesion, "WHY the @#$% DID I GO TO MEDICAL SCHOOL?" Here are a few EXCELLENT reasons... and one bad one. Just as the blisses of Christmas break was ending for most of us tortured souls who fly the banner of "medical student," and sail these uncertain scholarly seas, Uncommon Student MD got some serious traction with medical students around the world. I believe timing had a large part to do with the explosion in its popularity. Simply put, after christmas break a lot of medical people were thinking, “what am I doing here? !” - A case of mass buyers remorse. It is an understandable and laudable question to be sure. If we spent half the time wrestling with the question of what to do with our lives that we spend OMGing and LOLing on Facebook, we would probably all be Nobel laureates (at the very least we wouldn’t use retarded abbreviations as much). There are a lot of bad reasons to go into medicine and there are a lot of good reasons not too… Conversely there are also many great reasons TO pursue medicine as well as a lot of bad reasons not too. Confused? Me too, but I do know that there are two sides to every pancake (perhaps three if you screwed the recipe up). F. Scott Fitzgerald once said that, “The test of a first-rate intelligence is the ability to hold two opposed ideas in the mind at the same time, and still retain the ability to function.” So, even though I happened to agree with a few salient points made in the aforementioned article, I am trying to follow the advice of good old F. Scott and entertain the flip side of the coin. Maybe incite some wrath while I’m at it… one can only hope. I am not sure, but I am of the opinion that there are as many good reasons TO go to med school as there are NOT to go (we should do a prospective cohort study to find out). At the very least I know there ARE more reasons than the sole example our friend Dr. Ali Binazir espoused. And so without further hemming and hawing… The top 10 reasons you SHOULD go to medical and 1 reason you should RUN WHILE YOU STILL CAN… in no particular order. Read the rest of the post here: The Top 10 Reasons You Should Go To Medical School, And The Single Reason Not To. Putting a jaw-dropping, attention grabbing video in your waiting room or lobby is the perfect way to upsell and cross-sell, but you'll need to make sure that you're getting the most out of your new DVD. Here's a quick guide to setting up your waiting room. Frontdesk's waiting room DVD's are all designed to be simple to use and work in current DVD players or run on a computer that can play a DVD. They're designed to be run continuously and placed in a conspicuous place that your patients can see and watch while they're filling out paperwork and waiting. Something to play it with: You can use a cheap and portable DVD player or a computer that has a DVD player. IMPORTANT: You will want to make sure that you can set the DVD to 'loop' or continuous play on whatever device you're playing it back on. Something to play it on: Generally a TV but you can use a computer monitor. This should be pretty simple but the quality of your setup will determine how good the video looks. You certainly do not need state-of-the-art equipment but you'll want to make sure that it's decent and, most importantly, can continuously loop the video so that you can just turn it on at the beginning of the day and forget it. I've seen really good results with small and cheap DVD players that can be had for as little as $30 on Amazon. You can also use an old computer, but it will need to be able to play DVDs. Again, this need not be the latest and greatest but you'll want a nice flat screen that shows well and fits in a visible space in your lobby. You can show your DVD on any size screen but we've found that a mid-size screen (27 - 35 inches) is a good size. You'll want to positition it fairly close to where patients are sitting and at a good angle for viewing. Set it up where there aren't any distracting reflections. Also, while your DVD has audio, we strongly suggest that you just turn the audio all the way down and leave whatever ambient music you use as the soundtrack. Remember, the idea here is to make you look professional, entertain a little, grab some attention, and most importantly, to make your patients aware about other services you offer and generate some questions. These are NOT designed to be hard-selling pitches that scream Buy! Buy! Buy! We've found that those are much less effective than teasing patients and letting them ask questions during the service or treatment. Here's another waiting room video, this one on laser hair removal. It's easy to see why these can pay for themselves in the first hour. Here's a new part of our waiting room video marketing... This one's on Botox of course. Our waiting room videos are a big hit. So much so that we're unable to take an more orders for a little while as we try to ramp up.